WELCOME to this CHARMING, well maintained, MOVE IN condition home. 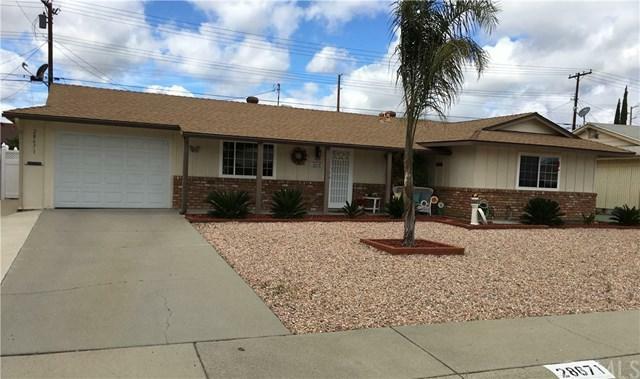 This home has newer dual pane windows, remodeled kitchen with upgraded granite counter tops, crown moulding, stainless steel appliances and an eating bar. Newer heat/air conditioning system, seperate laundry room, rain gutters, vinyl fencing, enclosed lanai and a covered back patio. Welcome to our Community! 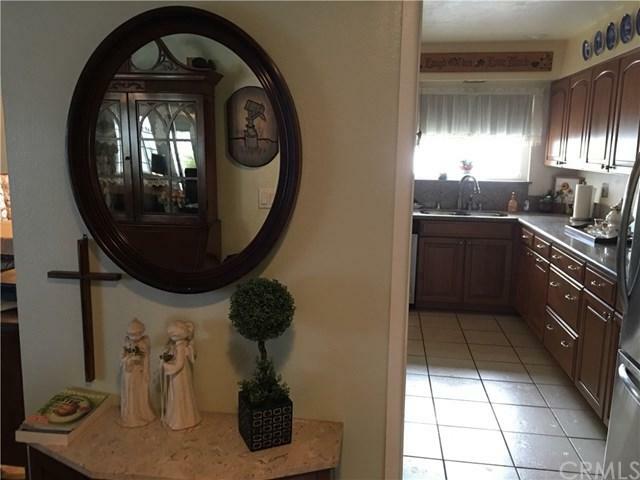 SUN CITY, MENIFEE CALIFORNIA Active Adult 55+ Community Sun City, Menifee California is located between Orange County and San Diego i WELCOME to this CHARMING, well maintained, MOVE IN condition home. 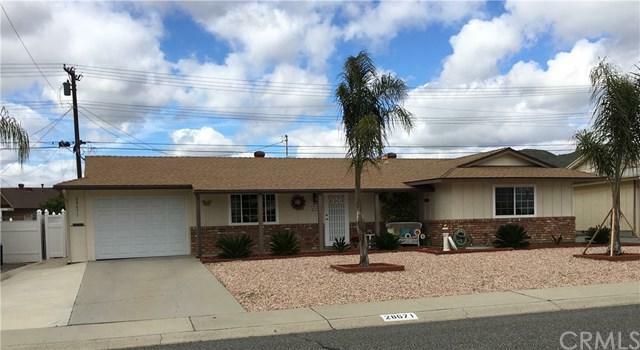 This home has newer dual pane windows, remodeled kitchen with upgraded granite counter tops, crown moulding, stainless steel appliances and an eating bar. Newer heat/air conditioning system, seperate laundry room, rain gutters, vinyl fencing, enclosed lanai and a covered back patio. Welcome to our Community! 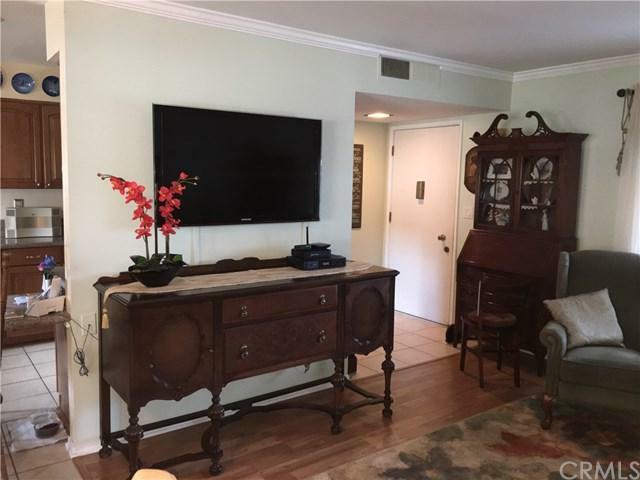 SUN CITY, MENIFEE CALIFORNIA Active Adult 55+ Community Sun City, Menifee California is located between Orange County and San Diego in the County of Riverside. It sits in a valley surrounded by mountain peaks. The "Core" area of Sun City is made up of 4,762 residences, all members of the Sun City Civic Association. The Temecula Valley Wine Country, Laguna Beach, Disneyland, Historic Downtown Riverside, Snow Sports, Palm Springs, and San Diego are all just a short drive away. A wide variety of shopping options, theaters and dining experiences abound. The Sun City Civic Association provides numerous activities including an indoor tournament shuffle board court, tournament horseshoe pits, a fitness center, two pools, spa, tournament lawn bowling and a variety of 60 clubs and social activities, all which enrich Sun City's active 55+ adult lifestyle. Listing provided courtesy of Lcl Realty. Listing information © 2019 San Diego MLS, Inc.